Published on 5 February 2014. 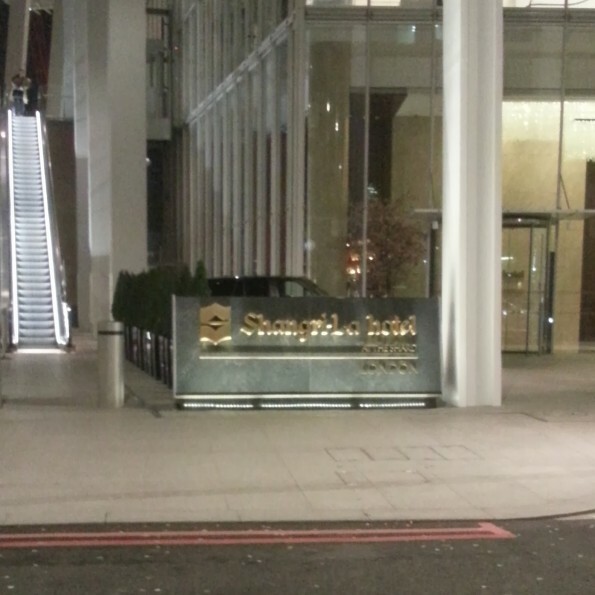 This is the recently unveiled waterfall style sign for the Shangri-La hotel at The Shard. Suites in this hotel come with your own dedicated butler… and, no doubt, a price tag to match! This 2,142nd post was filed under: Photo-a-day 2014, Scrapbook, London.